The Autopilot Digital Environmental Controller (DEC) precisely controls temperature and humidity within your grow area. The DEC coordinates the use of supplemental CO2 injection within the temperature function. 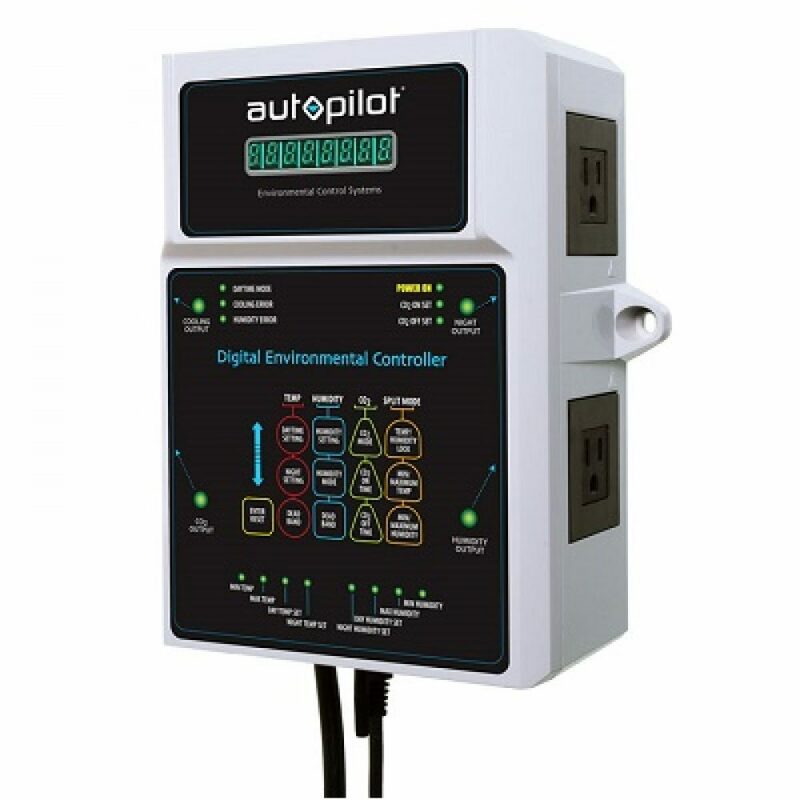 The DEC has four outlets and a 15′ remote combination probe with highly accurate temperature, humidity and light sensors. Easy to use push button functions are identified on a large digital display. Built in data logger records minimum and maximum temperature and humidity levels.